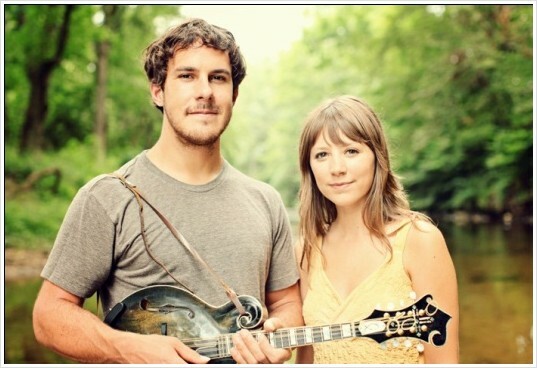 It’s no secret how much I love folk-pop duo Jenny & Tyler. This isn’t my first blog post about them, and I’m sure it won’t be my last. Since I started following Jenny & Tyler’s career during my sophomore year of college, I have been amazed with each new album they release. This is why I am so excited to share with you that their new EP, For Freedom will drop on 11/12/13, and you do not want to miss it. 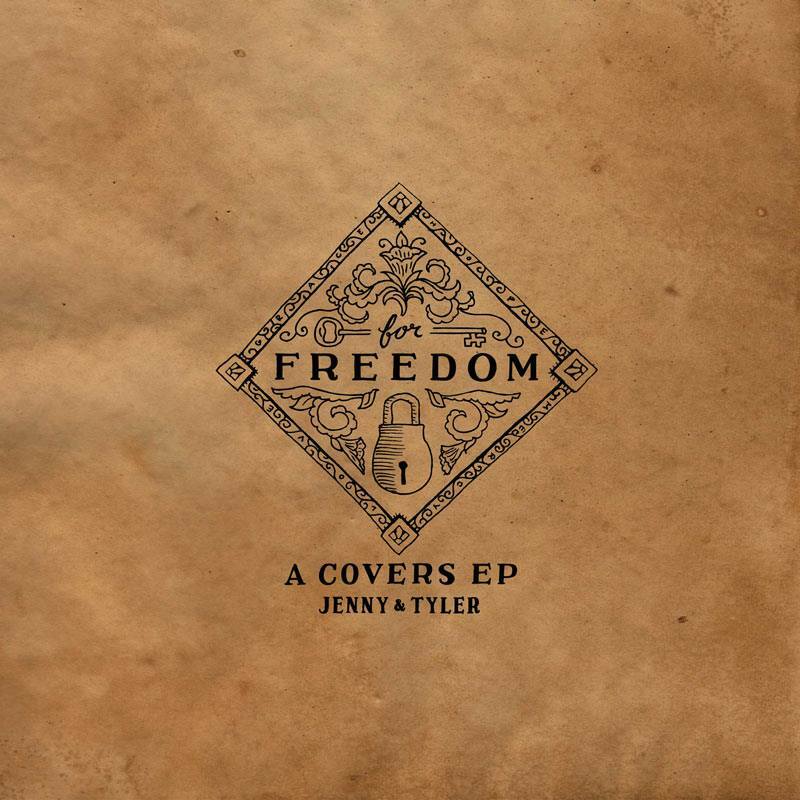 For Freedom is a covers EP that Jenny & Tyler have created to support organizations that fight human trafficking. That’s right. 100% of the proceeds from the sales of this album will go directly to the fight for human freedom and dignity. Aside from its great purpose, For Freedom is a fantastic album. With covers of songs by U2, Coldplay, Louis Armstrong, and The Postal Service, you’re bound to love at least one of the tracks on this album and to find yourself singing along with most of them. Jenny & Tyler have picked songs that shaped them as artists, and they pay tribute to them in a fun, unique, and musically interesting way. From the guest vocalists peppered throughout the album to the virtual choir of over 300 voices, this album is a fun and engaging listen from beginning to end. My favorite track on the album is We Will Become Silhouettes, originally by The Postal Service. I found myself listening to this one over and over from the first time I listened through. It’s faithful to the original but feels fresh with Jenny & Tyler’s unique perspective– basically what every good cover should be. David’s favorite is Simon & Garfunkel’s The Sound of Silence. They released this song about a year ago, and it quickly climbed the singer-songwriter charts on iTunes. It’s haunting and beautiful, and it includes Jenny’s excellent clarinet skills. A few other tracks worth mentioning are their cover of Dreams, my favorite Cranberries song–perfect for loud driving sing-alongs; What a Wonderful World, with a special appearance by their sweet baby, Jane, and I Still Haven’t Found What I’m Looking For, the track that features both Sara Groves and the virtual choir (is it fair to say I sang with Sara Groves?). I think I’ve mentioned almost all the tracks, but while you wait with bated breath for the 11/12/13 release date, you can check out Jenny & Tyler’s website for the full track list and for explanations of why they chose the songs they did. Also, I love this album so much I’ve decided to give a copy away to one of you– as a thank you for taking time to show up here on occasion, because I believe in what Jenny & Tyler are doing with this album, and also because it’s just so dang fun to sing along to. So, first, scroll up and make sure you’re following this blog, then follow this link (a Rafflecopter giveaway) to enter to win a copy of Jenny & Tyler’s For Freedom EP. This contest is only open to residents of the US and Canada. Contest runs 10/30/13-11/4/13. Winner will be notified via email within 48 hours of the contest end. If the winner does not claim prize within 24 hours, a second winner will be chosen. Questions should be directed to lindsey.writes.words(at)gmail(dot)com. This contest is sponsored by me. This post is the first in a ten week series called Ten Weeks of Tuesdays. If you’re participating, share a link to your post in the comments. I recently bought one of those mirror things you mount in your backseat so that you can see your sweet baby’s face in your rearview mirror while you’re driving. And today, I was driving and thinking. And obviously listening to music. At a stoplight, my eyes wandered to that rearview mirror and misted over. I don’t ever want to forget how I made what was supposed to be service and obedience and mission an idol to my pride. I don’t want to forget how it hurt to have that deep love for and devotion to something other than Jesus ripped from my heart. I don’t want to forget how dark it was when my eyes were focused on my pride, and how bright Jesus was when he finally, finally revealed himself. I always want to remember how, right there, in the middle of my pride and confusion and sadness. Right while I was struggling and crying and praying, Jesus finally answered. When the time was ripe. Just how he wanted to. I want to remember that it wasn’t in line with my plan. It didn’t make financial sense, success-oriented life sense, human sense. But it was just what Jesus wanted. I don’t ever want to forget the joy of living in the good of God’s great gifts. How he heals, protects, provides, and strengthens, even when we have no. idea. where we are going. I don’t ever want to forget how he turned my wailing into dancing. I don’t ever want to forget the way that He taught me. So gently, so patiently, so faithfully. That he is good and he is holy and he is enough. I’m not talking about living in the past. I’m talking about living in the fullness of the faithfulness of God. Every time I look at my daughter, I’m reminded of God’s grace, his faithful discipline, and his great love. I don’t ever want to slip into thinking that this is commonplace, that I somehow deserved this. We talk a lot about how God can heal our brokenness. But there are at least a few places in the Bible where things were broken for good. Jesus’ body, for one example. I don’t want to be afraid of living broken. Ok, so I realize it’s Saturday, but I’m the boss around here, right? I meant to have this done on Saturday, then Sunday, then Monday. But, well, I have a six month old. Well, now it’s Tuesday, but, like I said, this is my blog and I can do what I want, right? Drooled over these, but ate this instead. Purely because it was easier, and I was crafting, people. It was good, but not as delicious as the cheesecake bars, I’m sure. Sewed these for Ellie Jo’s crib. Came across this awesome idea at this wonderful adoption blog. Have been listening to this. And watched waaaay too many episodes of Parks and Rec. This afternoon, while I was sitting in my cube, eating a strawberry, I decided that I would start something called “Favorite Things Friday.” I’ve just made it up, so I get to include whatever favorite thing I’m enjoying at the time. Music. Books. Recipes. Hair Products. Kitchen Appliances. Etc. I can think of no better way to kick off Favorite Things Friday than with some FREE MUSIC by a duo that is very close to my heart. I started listening to Jenny & Tyler about 2 years ago. They agreed to come play a few shows at our college, and I fell in love with them and their music. Over the last two years they have not only been a favorite band, but they have also become friends. Em and I recently had the chance to hang out with them in Nashville. Soon, they will be releasing a new album, and rumor is it’s going to be WONDERFUL. In anticipation of this release, they’re GIVING AWAY their most recent album, Faint Not and it is PURE. GOLD. You can get their CD at this link: http://bit.ly/wpvPx5. In addition to that, they’ve covered Simon & Garfunkel’s “The Sound of Silence,” and it’s available on iTunes. This cover is also PURE GOLD, and all proceeds go to fight human trafficking. you can get “The Sound of Silence” here: http://bit.ly/xLV8X4. As long as I’m going link crazy, you can check out their website here: http://jennyandtylermusic.com. Go treat yourself to some honest, refreshing, encouraging music written by two godly, passionate people. Go. Treat Yourself. Thank me later.